Strongs Chianti Diablo (Diablo is Spanish for Devil) describes this horse. He is curious, spunky and carries himself with great pride. 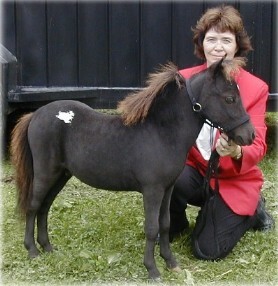 His pedigree includes Chianti and Grosshills El Rey, both National Show Champions. Diablo has matured into a beautiful black appaloosa stallion.